Principal Members: The founding members and any individual, organization or other entity that is: producing cheese or milk products in Maine, milking dairy animals in Maine, or involved with getting Maine made cheese, milk or milk products to the consumer. 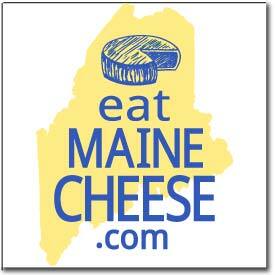 Associate Members: Any other individual, organization or other entity with an active interest the Maine cheesemaking, dairy or agricultural communities. Honorary Members: Any persons, who by merit of their deeds or knowledge has shown themselves to be a friend of the GUILD or Maine cheesemaking community. The term “general membership” will include all classes of membership. The term “voting membership” will include exclusively the Principal Members in good standing with the GUILD. –Motion: In 2010 the Guild will begin offering Associate Memberships for $200 per year with which interested retailers, etc. will get a decal indicating they are a Partner (“Big Cheese”?) of the MCG for a specific year. A committee will be formed to design and source a suitable decal, suitable promotional materials, and organize a solicitation campaign. –Propose and vote on Honorary memberships for 2010. Cultures, Dave Potter, Fri Jan 22 at Pinelands Farm in New Gloucester, how much? Rennet, [Day] week of School vacation April, at Little Falls Farm in Harrison, how much? Home/Basic — where, when, how much? 2010 Sanitation Workshop, UMO Coop Ext? When? Outreach Committee (Membership, CGCF, OCD)? Posted in Events, Guild and tagged business.